The global capital of fashion (and renowned for its brilliant football and food), Milan is located in Italy’s northern Lombardy region. Here you’ll be spoilt for choice when it comes to exploring art galleries, fashion houses and architectural gems. Milan’s food scene in particular has made it one of Italy’s most memorable stop-offs, with delicious delicacies on just about every corner of the beautiful city streets. Here’s just a handful of some of the delicacies you should sample while you’re there. The Milanese signature dish, cotoletta, is served everywhere from road-side bars to Michelin-starred restaurants. But a special dish deserves a special atmosphere to sample it, so visit somewhere traditional and intimate like Da Martino. Their take on Cotoletta alla Milanese is an inch-thick cut of pork (or possibly veal), smothered in breadcrumbs and butter. The most upmarket eateries will tell you there’s no need to serve it with an accompaniment as the quality of the meat speaks for itself, but we can’t resist a topping of cherry tomatoes and rocket marinated in garlic and oregano. 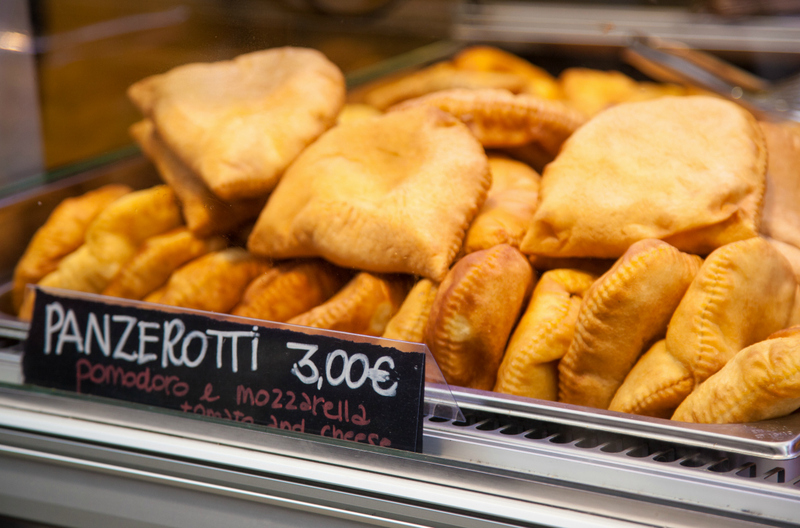 Similar to a calzone, a bite of a hot panzerotti (a small savoury turnover that originated as a pizza tart) is bound to linger in the memory long after you’ve left Milan. A traditional panzerotti envelops smooth, creamy cheese and a rich, herb-laden tomato sauce inside folds of fresh bread dough – so ready yourself to enjoy the ultimate comfort food with strings of mozzarella cheese that simply melt away. Milan’s eateries include spinach and ricotta and other savoury options, as well as sweet combinations of walnut, fig and cocoa – well worth queuing for at the fantastic Luini restaurant. A proper Italian pizza: thin, ever-so-slightly salty dough bases; full-bodied tomato sauces; and a variety of toppings including melt-in-the-mouth anchovies, ripe olives and delectable prosciutto. Pizzerias across the city each have their own take on what makes a great pizza, so there’s nothing for it but to eat your way around Milan - one slice at a time - to really make the most of what’s on offer. 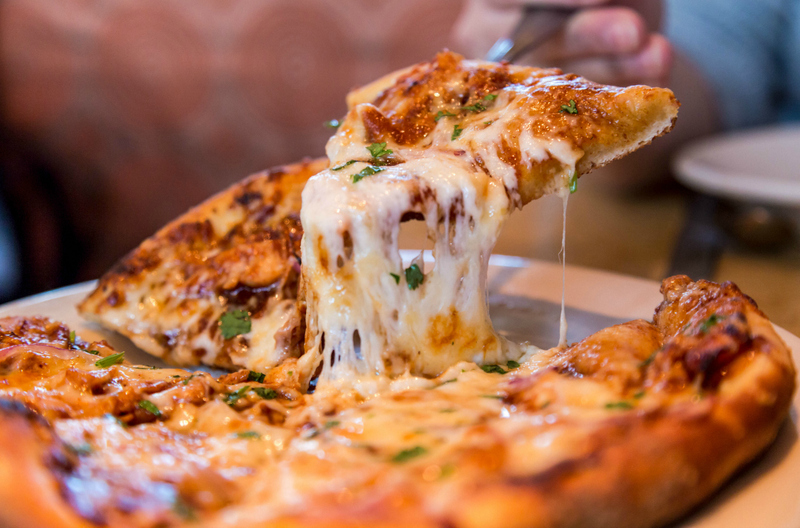 Reserve a table at the traditional and ultra-popular Pizzium restaurant, or grab a slice at the laid-back Mr Panozzo for starters. 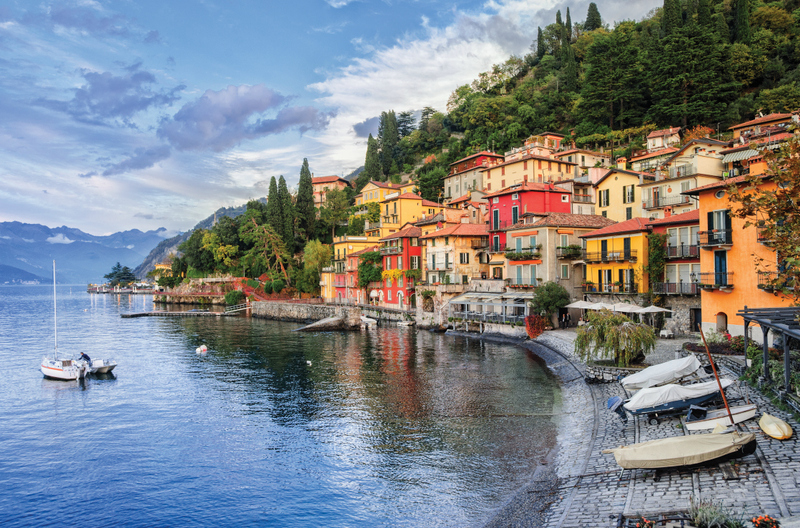 Nestled beneath the majestic Rhaetian Alps and fringed by steeply wooded hillsides, Lake Como provides the ideal getaway from the hustle and bustle. As well as being home to a number of picturesque villages, it boasts an assortment of fig, olive, chestnut and pomegranate trees. Take up car hire in Milan for the perfect opportunity to escape. And when the weather is fine there’s no excuse not to indulge in the regional specialty – gelato. Treat yourself to a trip to Gelateria Lariana on the Lake’s southwestern tip – some say it serves the best gelato in northern Italy, with flavours such as the simple and refreshing fior di latte, or the sweet and earthy pistachio being among the first you should try. Alongside enjoying Milan’s many cultural hotspots, sampling Milan’s many culinary delights is a fantastic way to spend your time. The only question is – what will you try first?